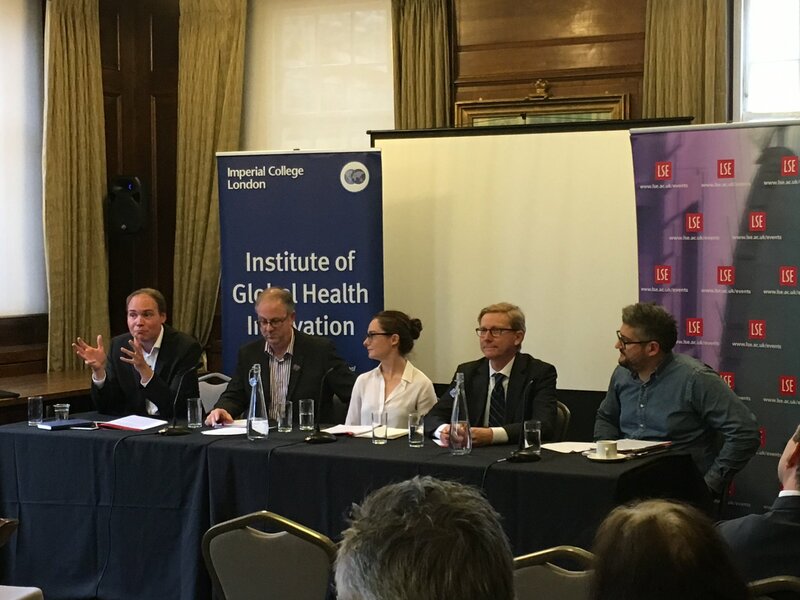 The London School of Economics Department of Health Policy and Imperial College London Institute of Global Health Innovation host event on the role of patient engagement in big data initiatives. Click here to read the report of the expert panel discussion. Large scale data sets containing patient level information on diagnoses, care processes and outcomes has the potential to bring considerable advancements to clinical and health care research, and to health service policy making. At the same time, recent events have illustrated the importance of maintaining privacy, transparency, and patient trust when exploring these new possibilities. At an event jointly hosted by the Department of Health Policy at the London School of Economics and the Institute of Global Health Innovation at Imperial College London on behalf of the IMI2 funded project Big Data for Better Outcomes (BD4BO), the role of patient engagement in big data initiatives to improve patient’s understanding of and trust in the sharing of big data in health care, was discussed. The event was chaired by IGHI’s Centre for Health Policy’s Dr Søren Rud Kristensen who opened the seminar by inviting four speakers to present their perspectives on the key challenges to involving patients in big data initiatives. First, Kyle Bozentko, the executive director of the Jefferson Center, spoke on the centre’s use of citizens’ juries to explore this topic. Associate Chief Clinical Information Office at NHS England, Harpreet Sood, followed by giving an overview of NHS England’s approach to patient engagement in the many possibilities for collecting health data in the NHS. Dr Sarah Fox, the public engagement and involvement officer at the Health eResearch Centre at the Farr Institute presented her view on the topic from a research perspective, and the first part of the session closed with Helen Bulbeck from braintrust, giving a captivating account of her view from a patient and carer perspective. In the second half of the seminar, four panellists reflected on the challenges presented by the four speakers. The panellists, Vice President for Europe at Optum Labs, Brendan Krause, Patient advocate at use MY data and Researcher at Leeds Institute for Data Analytics, Chris Carrigan, Assistant Director for Data Analytics at the Health Foundation, Sarah Deeny, and Matt Murray, Research Engagement Manager at the Alzheimer’s Society, each gave a brief statement, followed by a discussion with the audience.